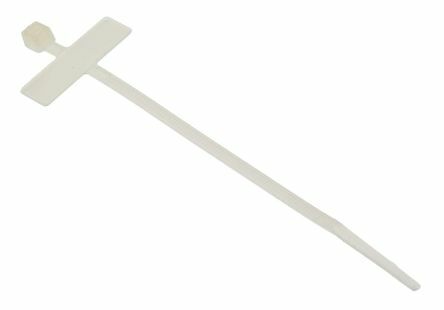 There are many different types of cable ties on the market today, they come in different colours, materials, lengths and widths. Cable ties can also be known as wire ties, zip ties or hose ties. The fasteners are a low-cost item which has many uses including holding things together such as cables. They are ideal for having in any tool box. 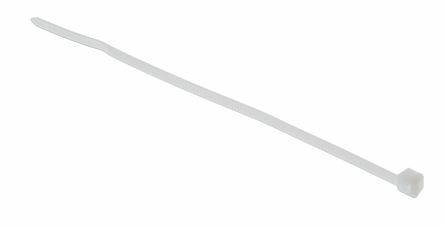 Cable ties are generally single-use devices; they are cut off rather than loosened and reused. If a closed loop needs to be opened again, rather than destroying the cable tie by cutting, it may be possible to release the ratchet from the rack. While some cable ties are designed for reuse with a tab that releases the ratchet, usually a sewing needle or a small screwdriver needs to be inserted between the ratchet and the rack. Ties reused in this way are weaker than new ones. 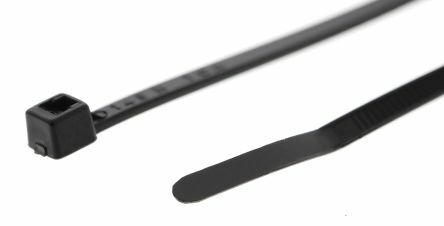 For more information on how to choose the type cable ties that most suit your needs, you can also consult our bespoke Cable Ties Guide. Cable ties are simple to use and remove. Insert the pointed end of the tie into the head of the tie. The teeth of the cable tie catches, pull the head to tighten as far as it goes. If the tie does not lock, undo and turn the tie over. It will only tighten if inserted the right way. If you do not want to re-use the tie, you can cut the end to give a tidier look. 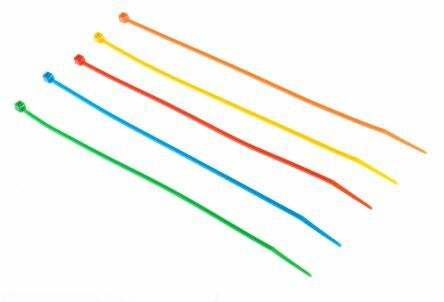 Coloured cable ties: Using coloured cable ties is a great way to identify cable groups. Marker Ties: These can be written on to identify what the tie is holding. 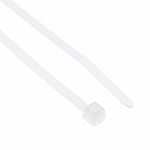 Releasable cable ties: These are generally more expensive than those for single use. The catch that is fitted to the head can be released to stop the teeth biting into the head. You can use the ties many times but not forever as they will still stretch and break over time. There are endless uses for cable ties. Generally, they are used to tie cables and wires together, but other uses can include training plants, securing zips, identifying keys, securing loose items when transporting, unclog sinks or even for childproofing cupboards.